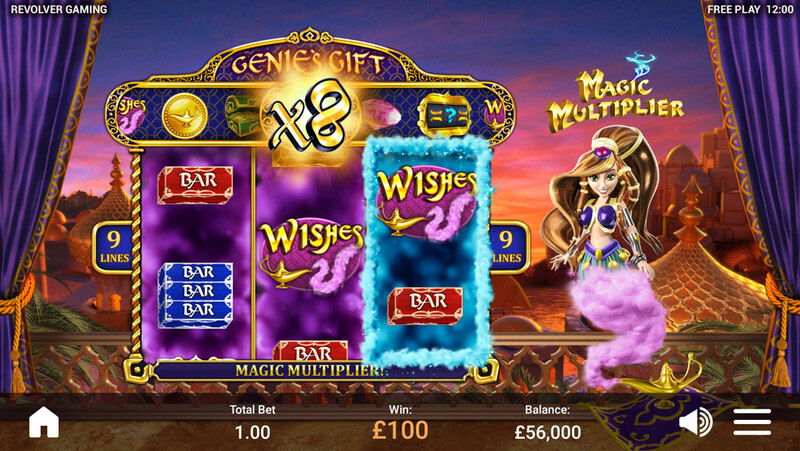 WISHES™ | Revolver Gaming - 3D Slots & Social Casino game creators! 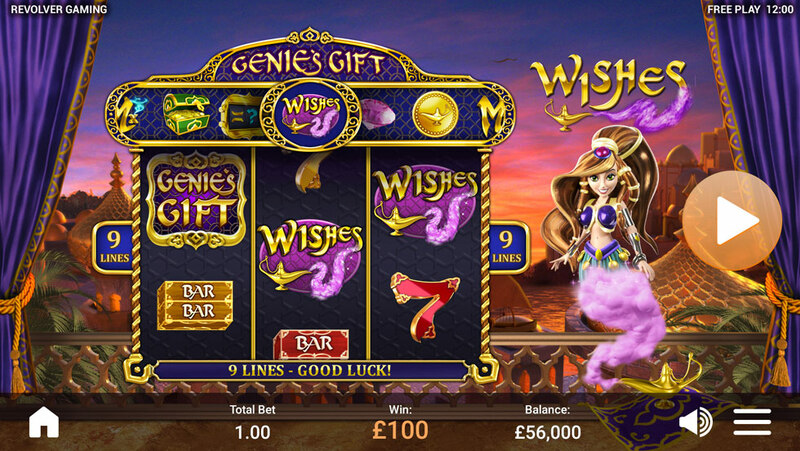 ‘WISHES™’ is a classic reel slot game rendered in a polished 3D style. The Arabian theme transports you through the sands of time to an exotic world of riches and legend. 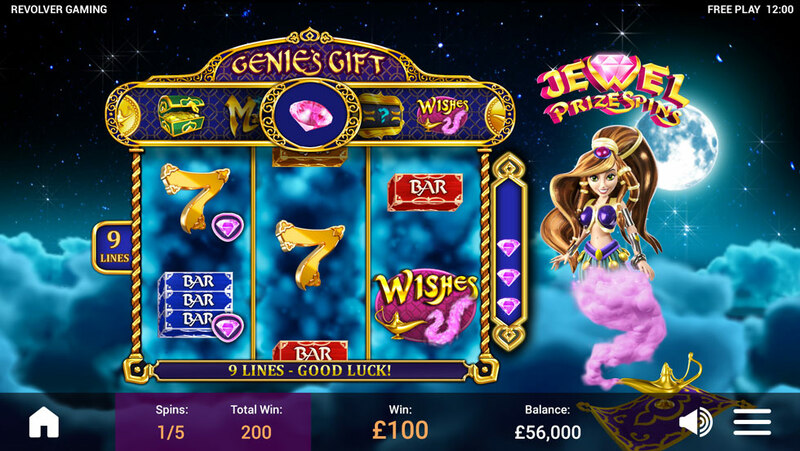 Unlock Genie‘s Gift to be granted entertaining bonus features including Instant Cash Prize, Random Wilds, Reel Match Spin, Spin To Win, Magic Multipliers and the much anticipated ‘Jewel Prize Spins’ for a chance to win incredible riches! 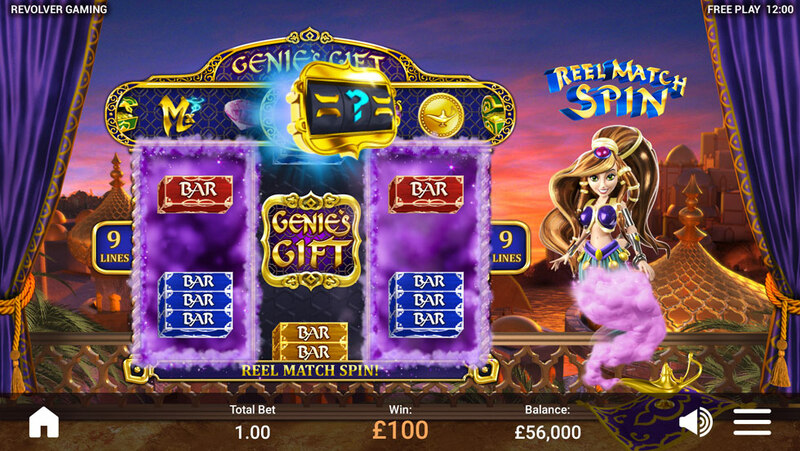 Genie also teases by randomly unlocking her gift reel and granting access to more wishes and rewards. Crafted to the highest specifications and optimized for true cross platform play, WISHES™ promises players a magical experience with a Genie that keeps on giving!